share scientific ideas and research in a way that is approachable and understandable to the general public. garner a supportive community for others who are passionate about the sciences. connect and communicate with like-minded professionals you may not have had the chance to in real life. learn about scientific concepts you may not have known about otherwise. put faces, personalities, and names to the people making huge differences in our world. show people what actual living scientists look like. help close gaps in the workforce (women, minorities, non-binary, disabled, younger, older, the list goes on), especially within the STEM fields. It's hard to feel like you can do a lot to help these causes, so why not take advantage of social media to do this? It gives us a voice. It lets us be heard. Science cannot be silenced. Spending your life in self-acceptance is far better than the one lived in self-loathing. 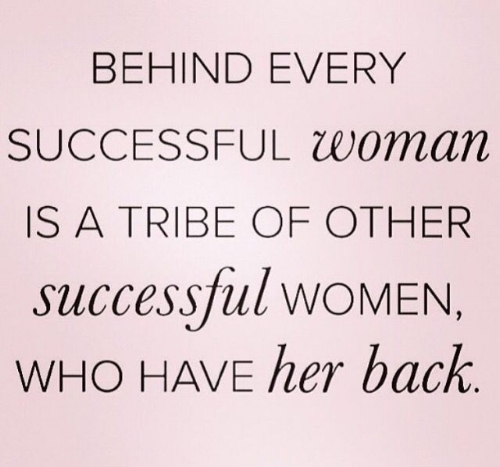 Remember – when women support each other, incredible things happen!